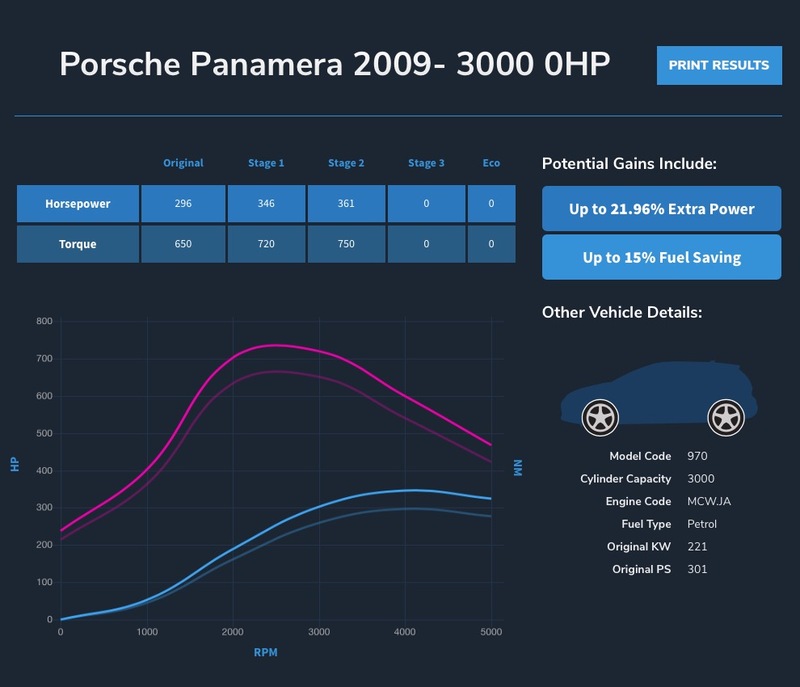 Our performance remapping option delivers a gain in raw power which results in a new lease of life for your vehicle. 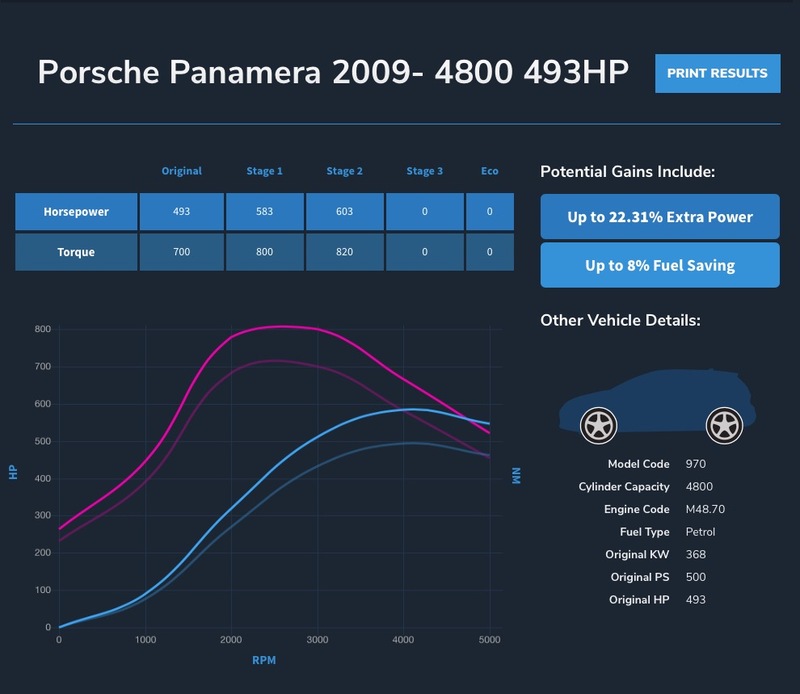 Our performance software is developed to maintain manufacturer reliability levels and original service intervals whilst delivering a gain in power and torque of up to 30% which gives better throttle response, faster acceleration and most often, better fuel economy. Please remember that every vehicle is unique; Manufacturers will sometimes put different ECUs into the same car, and many vehicles have unusual configurations or modifications which are only apparent when reading the ECU. As such, we recommend that you discuss the potential gains and tuning options available with us. 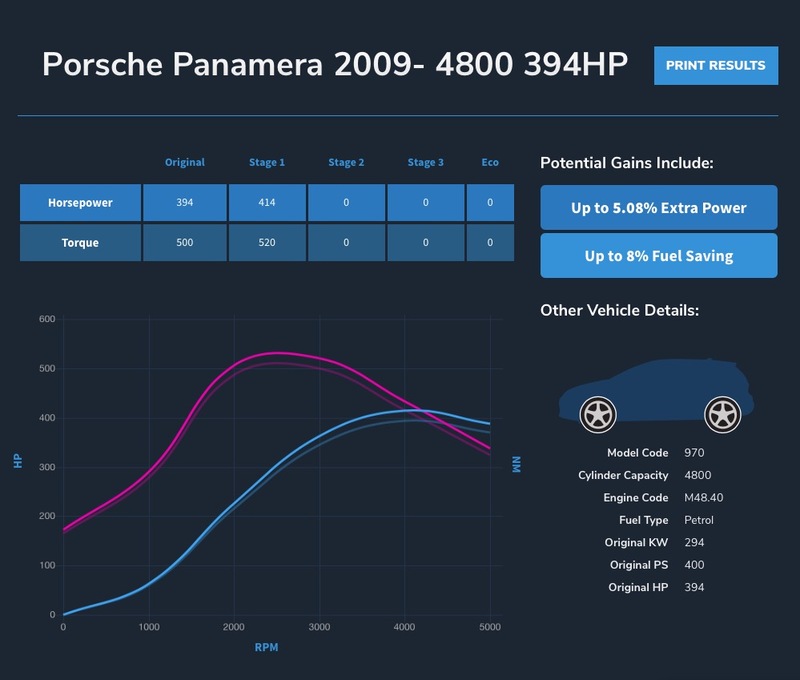 The data is constantly being refined, amended, updated and expanded and we are confident that its data is the most comprehensive ECU tuning and remapping data currently available anywhere in the world. Whilst every effort is made to ensure the data in the above tables is up-to-date and accurate, it should only be used as a guide. It is possible that the economy and performance gains available are in excess of those stated above, conversely actual gains may be less than the current data suggests.